We offer farms,fox pest control via legal methods of shooting and trapping, a fox can cause devastating damage to the likes of a free range hen unit or small scale hen houses around farms and small holdings. 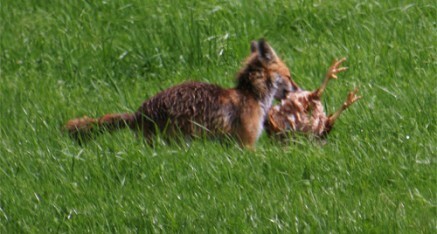 There are a number of legal methods suitable for the control of foxes. In general the methods most commonly used are live capture trapping, shooting or the use of suitable snares. Traps: These are non-lethal traps which are set and baited with a suitably attractive bait- usually somethig with a strong odour. On entering the trap in an attempt to remove the bait the door mechanism is triggered which captures the animal. Traps must be inspected at least once per day, with twice per day being much more suitable. All trapped animals must be treated humanely and the provisions of various legal acts apply to this situation i.e. Protection of Animals Act, Wild Mammals Protection Act for example. Shooting: In certain circumstances, especially with rural or countryside foxes, the use of high powered rifles is often the preferred option. The use of rifles should only be undertaken by persons qualified to do so with appropriate regards to Health and Safety and the welfare of the foxes. However, effective use of cage traps can still be made in rural settings. Snaring: Snaring is a very effective method of control in the right hands, it is very time efficient, and foxes can be easily caught and dispatched in specific area’s. Fox shooting at night is an excellent form of fox control, also with the addition of night vision, it allows quick removal of foxes that are causing problems around farms and shoots. Fox trapping allows discreet fox removal from a problem area, with bait and live catch traps, foxes are humanely dispatched, once caught. Fox snaring is a very efficient and successful form of control for removing a problem fox. In the right hands they are an excellent control method. 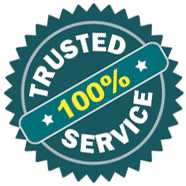 Main pest control area’s covered are Hartlepool, Billingham, Stockton on Tees, Thornaby, Middlesbrough, Yarm, Darlington, Stokesley, Sedgefield, Northallerton, Peterlee, Spennymoor, Seaham, Durham, Redcar, Skelton, Whitby, Guisborough, Thirsk, Bedale including all surrounding locations.